Good Morning! Wahoo!! Friday is here!! I am looking so forward to this weekend, I need to sleep in until 7:30. I have been so tired lately. Of course, it has nothing to do with the fact that I have 3 teenagers on summer break who thinks it's a good thing to stay up most of the night playing games and watching movies. 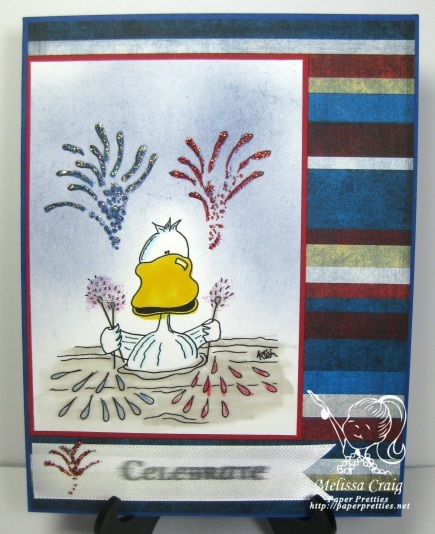 Anyway, I have a card to share with you featuring Oops a Daisy by Raisin Boat. Now, if you missed it, we've got a fun challenge at the Raisin Boat blog that you still have plenty of time to play along. 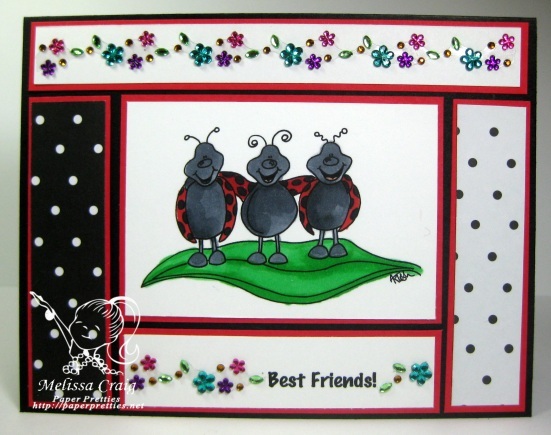 All you have to do to join in is create anything you want with your Raisin Boat stamps. I did find a great sketch to play along with, too. 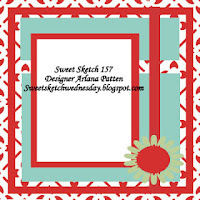 Try Stampin' On Tuesday's sketch was adorable and I very inspired by their guest designer, Mynnette. And this just proves that other challenges get along with RB's challenge for this month! Come join us! It'll be great fun. 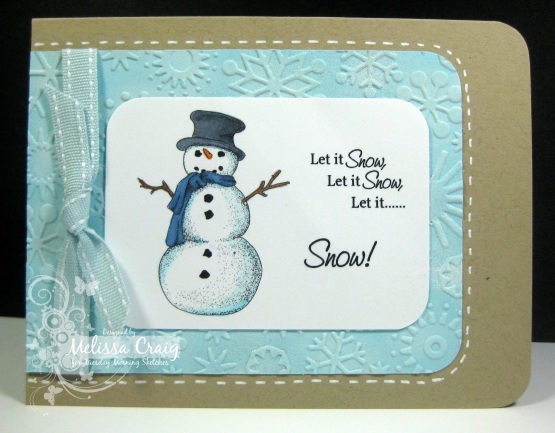 And you simply must go see the card that Bobbi posted on the blog. Soooo cute!! It's pink, it has a doggie and soooo much creativity. Go take a peek. Good Morning! Can you believe it's already Thursday? I can't - the week just flew by! I got to teach training classes and the beginning part of the week and that went well. I was nervous at first, but I got comfortable with it and then it went really well. Anyway, let's talk about the challenge this week at Delightful Challenges. This week we're CELEBRATING. 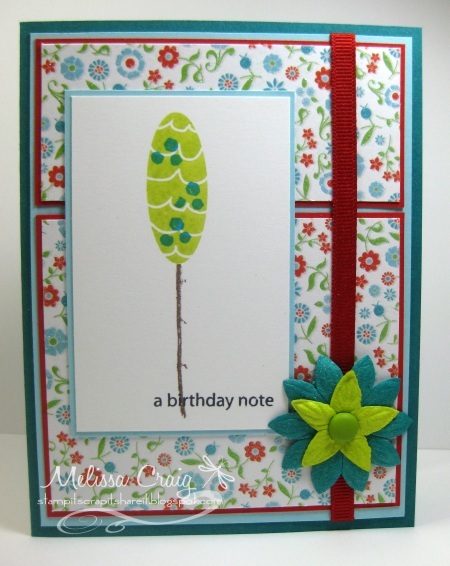 Yep, create a card for any celebration. This is cause to celebrate right? At least the new driver is celebrating. The parents aren't. I speak from personal experience. My oldest son hasn't tested yet for his license but he's been pushing for it. I'm hoping to hold out just a little longer, but I don't think I'm going to win. And speaking of my oldest son, he says I never do anything on the inside of my cards, so here's a shot to prove that I do every now then. 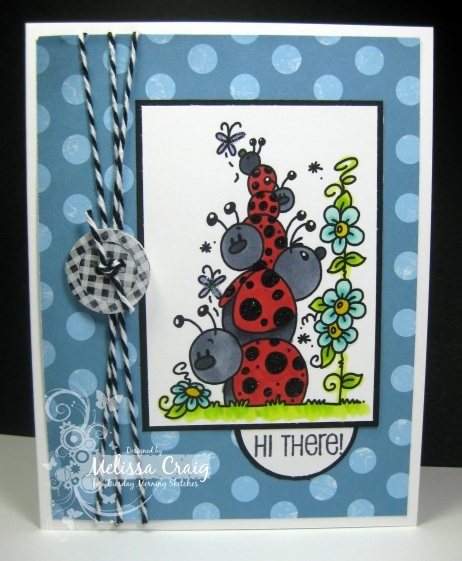 I created this card with that was inspired by a sketch at Sketches by Carly. She's such a talented young lady! We'll see you over at Digital Delights by Louby Loo. Enjoy your Thursday! Good Morning! Happy Tuesday! This is the 2nd installment this week of some cards I am really super proud of. I hope you enjoy them as much as I do. The sketch is up at TMS and it's cute - even if I do say so myself. Our challenge sponsored by Paper Garden and I've used their digi Snowman image. No, I am not rushing to the winter season, I just can't resist an adorable snowman. I am really pleased with my color combo, too. I never would've thought to put Kraft together with a pastel color. But I went out on a limb and decided to try out an idea that I had. 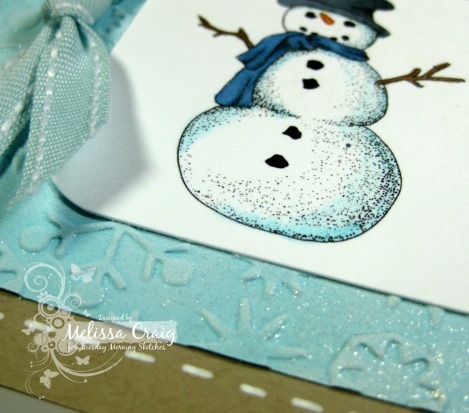 I embossed blue piece with the snowflakes embossing folder and then I sponged on white craft ink. After that I spritzed with Shimmer spray. Love the results! Look in the lower right corner, you can see it pretty well. 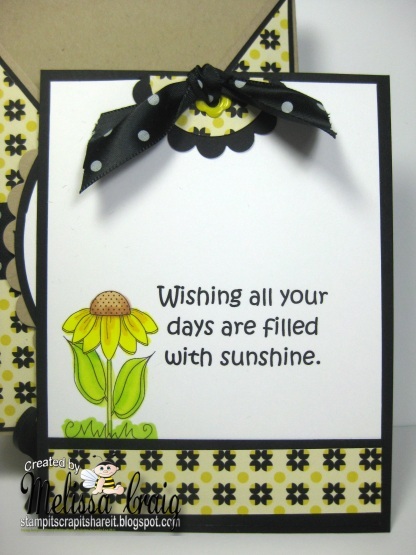 There are some other fabulous cards from the design team there that are sure to inspire you. Good Morning! I hope you all had a great weekend. Mine wasn't too bad. It was rainy and yesterday it rained ALL day. It was definitely a good day to spend in my room at my craft table. I love my card! I found some digi papers on sale at A Cherry on Top for $2.10 and wow what a package it was. 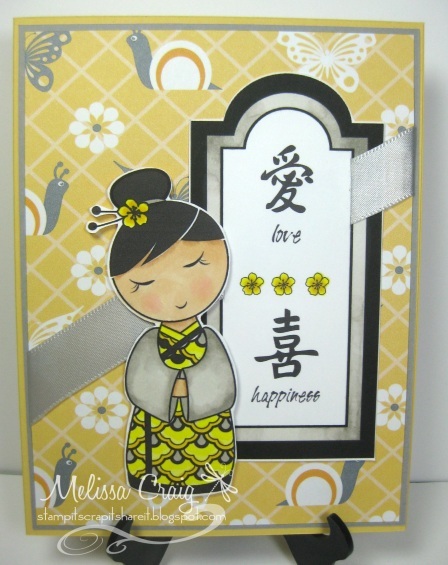 I selected 3 patterns to use on this card. I love the brightness of these colors. I also used the sketch from The Sweet Stop to create my card. What an awesome sketch! I wish I had thought of this one. Hello everyone! Happy Friday! I am sooo glad the weekend is finally here. This week's Raisin Boat post. It was announced yesterday that Raisin Boat now has a monthly challenge! Whaa-hooo!! 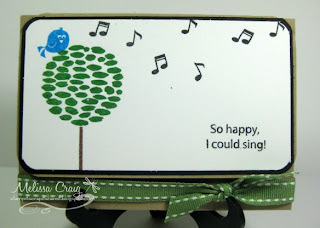 So this month's challenge is Anything Goes using Raisin Boat stamps. So I created a gate-fold card featuring Goes with Summerset Gardener Gal. I really enjoyed putting this card together. Even though I love my digis, there's still something special about holding an acrylic block in your hand. I had a lot of fun creating this card and I hope it inspires you to play along. Here's the inside of the card. My oldest son fusses at me when I don't do anything on the insides of cards, so I decorated this one just a little bit. 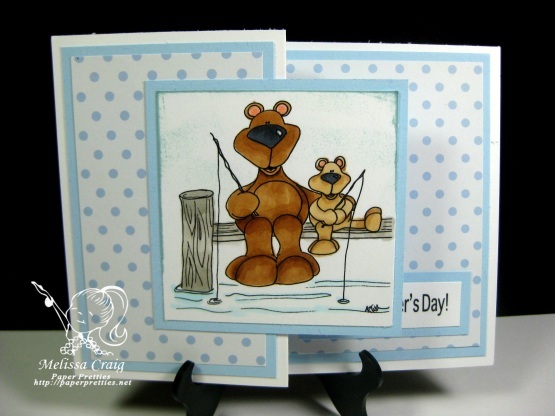 Now head on over to the Raisin Boat blog to learn how to play along. 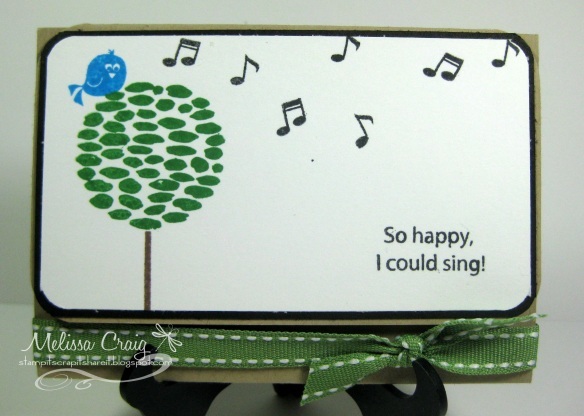 You can win a Raisin Boat stamp set! Thanks for coming back. The Delightful Challenge is up and ready for you to play along. This week it's an Anything Goes Challenge. Now you all know how I feel about these. That unless you really go out on a limb, it's not really a challenge at all. Just my personal opinion and I walk the talk. I feel like I really did step out on my card I made to share with you today. I am featuring Bizzy Bear, Daisy Flower and the ADORABLE digi paper Busy Bee's. We've all seen criss-cross cards and I really enjoy making them. I hope this card brings you happy feelings like it does for me. And here's the inside. I created the sentiment and I really should've brought it up a bit more, but I guess if I did, the words would show when it's in it's sleeve. Also, I want to tell you that today is the day that begins the monthly challenges at Raisin Boat! Whoo-hoo!! I'll be posting my card tomorrow for my Friday Feature - but be sure to head over to the Raisin Boat blog to see some amazing projects from a super uber talented team that I am so blessed to be a part of! Good Morning! Happy Tuesday! 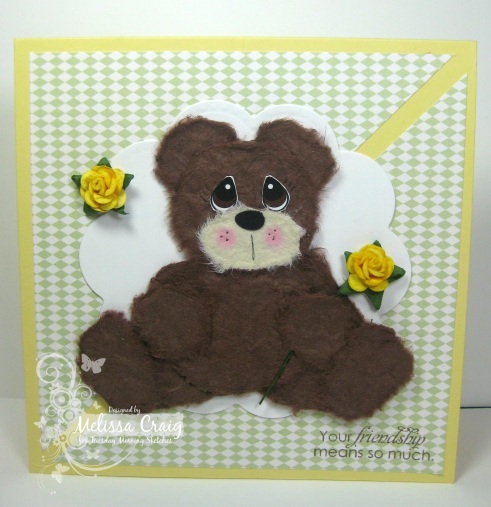 I am thrilled to be announcing a new sponsor for Tuesday Morning Sketches - this week we have The Beary Scrap joining us. I found Kimm's store when I was on the hunt for Scor-Tape and was instantly enamoured with this store. Yummy flowers and ribbons and all the essentials for cardmaking and scrapbooking but then your heart get's captured by what sets Kimm apart from everything else.... her exclusive Tear Bears. But it's not just bears. There's bunnies and duckies and penguins, oh my! And SOOOOO much more cuteness. Today's sketch is by Kathy Curry and so here's my take on the sketch featuring a handmade Tear Bear.... (be nice, it's the 2nd one I made). Now these little guys aren't so little (unless I'm doing something wrong), so I had to make my card 5 1/2 squared. The pretty little roses are also from The Beary Scrap. I hope you join us for a fun week. See you at the TMS blog. Good Morning! I hope you had a great weekend. I sure did! We didn't do anything special, just sort stayed closed to home. The kids' Dad bought us a gift.... he got us a wallmount for our TV so now we've got some space in the livingroom again. We watched a really good movie, too. I highly recommend Joyous Noise with Keke Palmer, Dolly Parton and Queen Latifah. What a great feel good movie. Here's my card featuring another new image by ARTish. This is Redmond. I really needed to stamp the sentiment with Staz On. Note to self - Tuxedo Black is great on paper, not on ribbon. But other than the blurry words, my card turned out pretty cute. Redmond is adorable with the fireworks exploding in the sky above him and the sparklers in his hands. I am also joining Just Us Girls because they have the same color challenge and I haven't played with them in several weeks. I miss them. * big smile * I also drew inspiration from Ribbon Carousel's sketch challenge. Good Morning! It's Friday. This is the day of the week that I plan to feature Raisin Boat and to play along with challenges. Again, I am featuring the stamp set Central Park. My monthly card traders group challenge this month is to create gift card holders. It looks like this! Isn't it cute?! I hope my trading partner likes it! 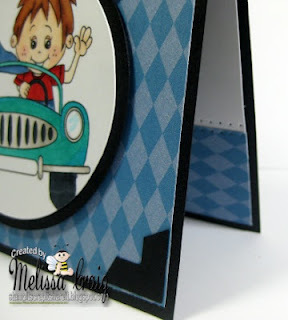 This week's challenge at Delight Challenges is call For the Boys. This is however you wish to interpret it and you'll see how widely the team interpreted it, too! Wow!! My card features Bryce in Car. I resurrected one of my old sketches from Tuesday Morning Sketches to create this card. I like it's simplicity. 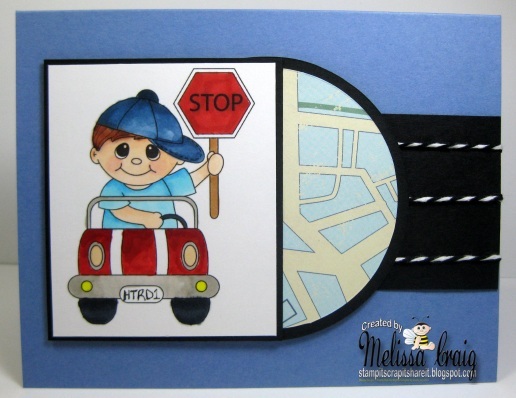 I also used the challenge from Crafts 4 Eternity as inspiration - this week's challenge is Travel. It was perfect for my card! Good Morning! Happy Tuesday! We have another fun sketch at Tuesday Morning Sketches and this week is the Judged Challenge so we have twist, too. This week we're adding a color combo: Kraft, Black plus 1 other color. We are sponsored this week by Designed2Delight. 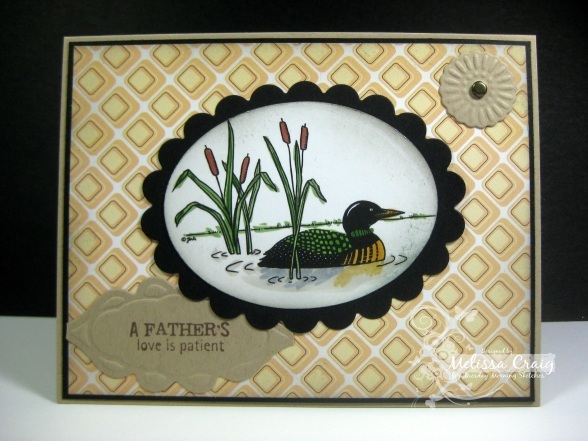 I made my card with Loon and Cattails. I am really pleased with my card. I don't do masculine cards very often, but this one is really good. I hope you agree. And I hope that you join us this week! It'll be lots of fun. Good Morning! I hope you all had a great weekend. 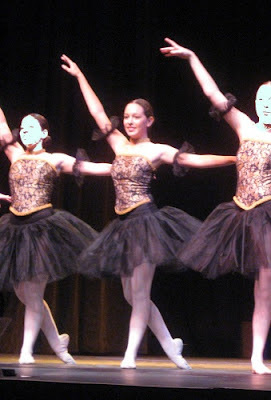 Recital was fabulous! The girls did so well - they looked beautiful in their costumes and I am sooo proud of Hollyanne. She danced so well! My camera doesn't do so well capturing movement. This is Hollyanne is her ballet number, I tried to capture her in the Jazz number, but that was a complete failure. I don't have permission to post pics of the other girls so that's why their faces look like they do. Sunday was spent just resting, relaxing and recovering. Now I know you're here for the Paper Pretties Monday challenge. So we'll move on to that. 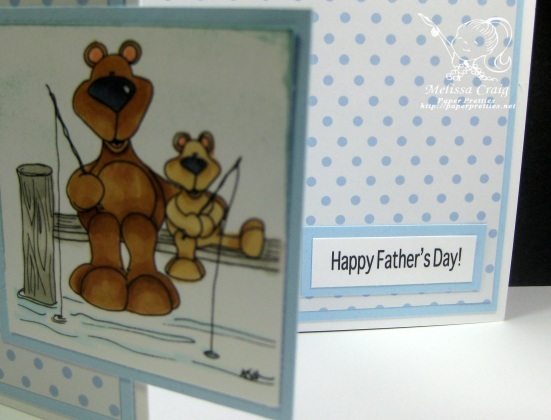 This week we're making Father's Day cards. So my card features a new digi set by ARTish called Got Tarter Sauce? Isn't that cute? I used the Z-Card technique to create my card. Added some sweet paper and I made a matching envelope (not pictured). Here's the inside of my card. 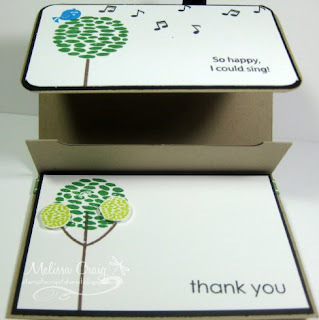 Just a simple little message and you can even glue in a gift card behind the image and viola! 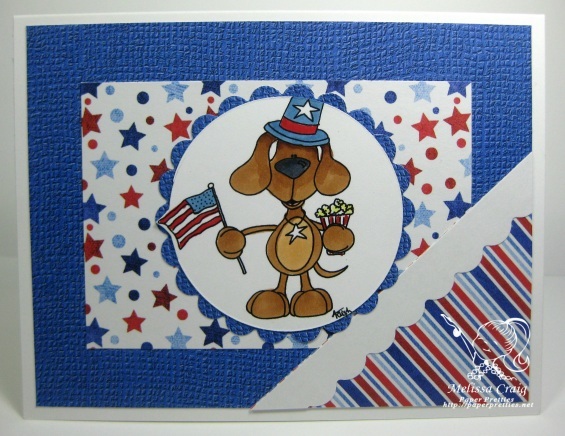 Card, gift and cuteness all-in-one! I hope you enjoyed all that I had to share with you today and that you'll join us at Paper Pretties. Have a great Monday! Hi everyone! We're all excited here at my house. Tonight is opening night for recital. Hollyanne is anxious and a bit nervous. She and the other dancers looked great during rehearsals yesterday. I have some exciting news to share with you all. It was announced in the newsletter that I was selected to be a Boat Crewmember! I am soooo thrilled to have been given this opportunity. I shared here and there my enthusiasm for Raisin Boat. I think their concept is fantastic - I love being able to rent stamps, stamp all I want with them for a month and then send them back for new ones! Rubber stamps are so expensive and let's face it we all get tired of them. Being able to rent stamps is a way to keep your stamping fresh, new and stay with the latest trends without investing a lot of money. So I created a card to share with you featuring one of the sets I just received in the mailbox. This is Central Park. 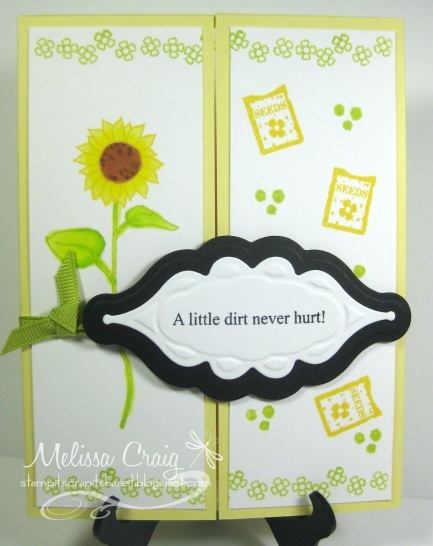 I created this card to play along with a few challenges, too. Truly Scrumptious (Flower Power). Sadly, this is their last challenge. Sweet Sketch Wednesday (sketch). ColourQ (Real Red, Island Indigo, Lucky Limeade, Tempting Turquoise) the colors I used are from Raisin Boat and I think came really close. If you've not checked out Raisin Boat yet, you really should. Say hi to Kim and Bobbi! Hi! Thanks for coming back. This week we're doing a Pretty Pattern. You get to choose which sketch you want to revisit. I revisited MTME PP #39. My card features some new images at My Time Made Easy. Oh my goodness, I am in love with this set. 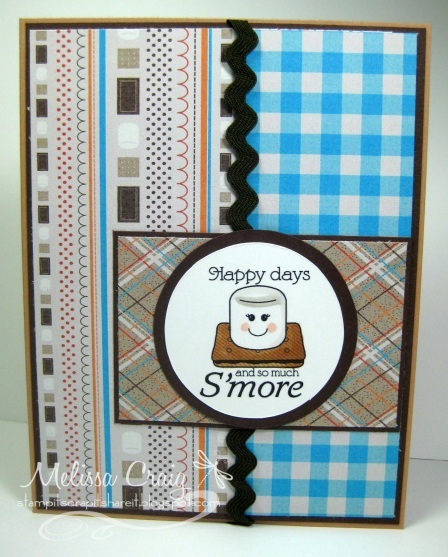 Meet So Much S'more and Smore Smores digi paper. I love my card! I did alter the sketch just a little. I didn't include the bow element which I think would've been been completely out of place on the card. Good Morning! I hope you're all doing well. Today is dress rehearsal for Hollyanne's recital. So we're off an running in a little bit. And a little shout out for my Mom. It's her birthday today, so HAPPY BIRTHDAY MOM! 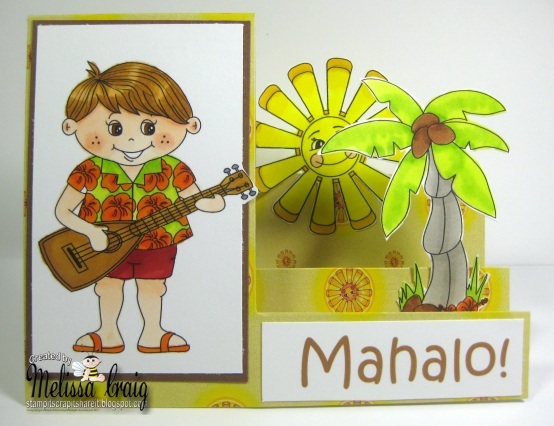 I created a side step card featuring Ukele Lani and the Luau Digi papers & Accesories. This card was really easy to create. I printed the digi paper and then cut and folded the card. Then I decorated with a couple of accessories and Lani on the side. I made my own sentiment with the only Hawaiian word I knew. Good Morning! Happy Tuesday! We have a fun sketch over at TMS and there is still time to submit your application for the Design Team. This week's challenge is sponsored by Bugaboo. Yippeee!! So here's what I did with the sketch and their adorable image. I love how my card turned out. You just can't go wrong with a cute image and great papers. I created the button with some scraps of digi paper, some punches and the Crop-a-dile. So easy to do. I hope to see you over at TMS this week. Good Morning everyone! I hope you had a fantastic weekend. Mine was fairly enjoyable. I didn't get in as much crafting time as I'd hoped, but that's just how it goes sometime. I have a short week, Hollyanne's dance recital is the end of this week so it's still busy with a different agenda. 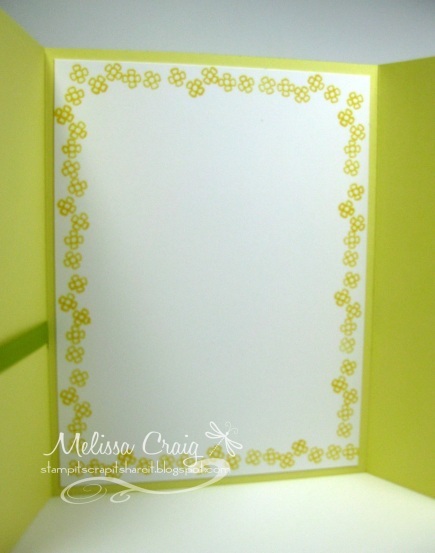 This week at Paper Pretties we're adding one of our favorite embellishements.... BLING. I found this fun stuff at Michaels on clearance. It's called Bling on a Roll. How great is this? The sketch is from Unscripted Sketches. Love the blocking.